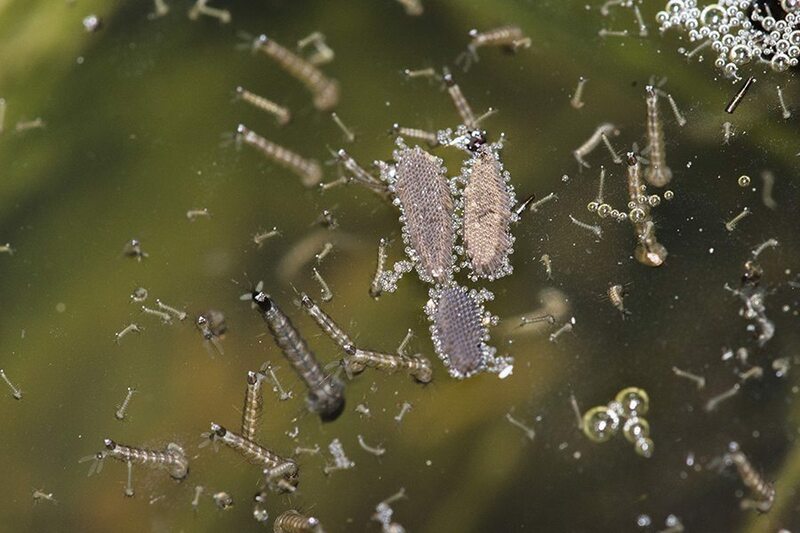 Mosquitoes have been around since the Jurassic period, making their species about 210 million years old. They’ve been mentioned throughout history, including in the works of Aristotle around 300 B.C. and in writings by Sidonius Apollinaris in 467 B.C., as a perpetual bringer of disaster, death and disease. 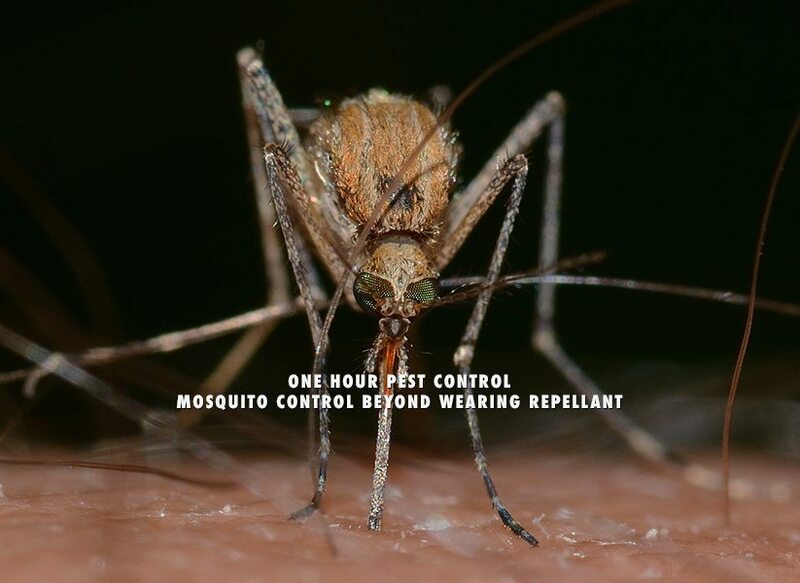 Mosquitoes cause more human suffering than any other organism, with The American Mosquito Control Association reporting over one million people worldwide dying from mosquito-borne diseases every year. 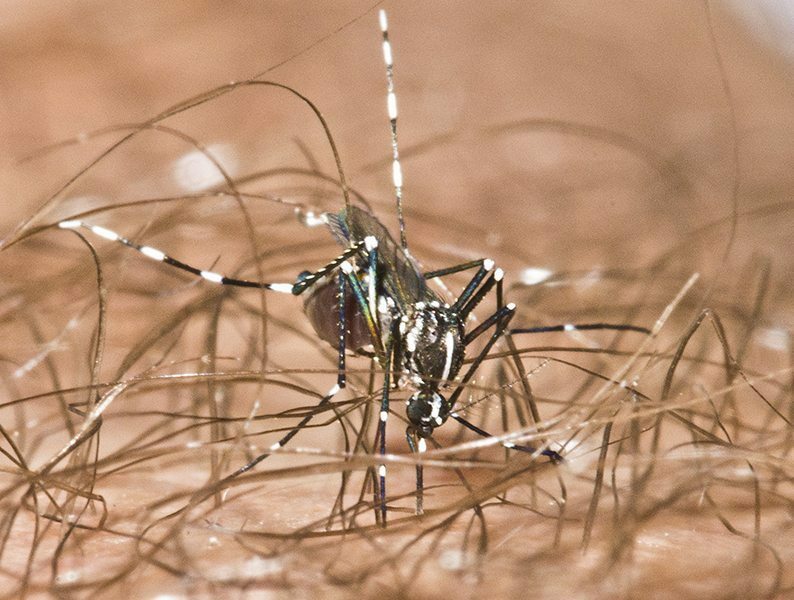 Not only can mosquitoes carry diseases that afflict humans, they also transmit several diseases and parasites that dogs and horses are very susceptible to. West Nile Virus, one of the most common, is linked to the highest death count and came to the U.S. in 1999. 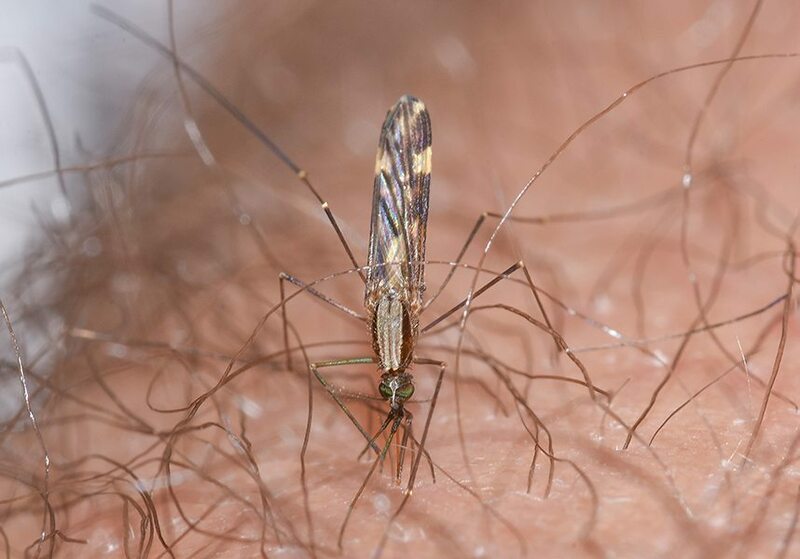 Scientists first identified it in a feverish woman in Uganda, the West Nile district, in 1937, with subsequent large outbreaks of the virus reported in Israel, South Africa, and Romania up through the late ’90s. 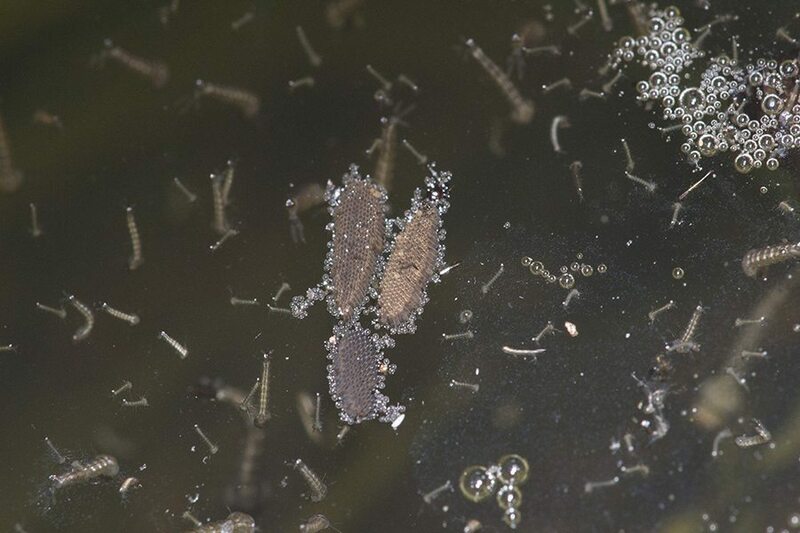 The virus first appeared in the United States in 1999 with an epidemic in New York, leading to a widespread warning of mosquito bite virus prevention across the entire East Coast. 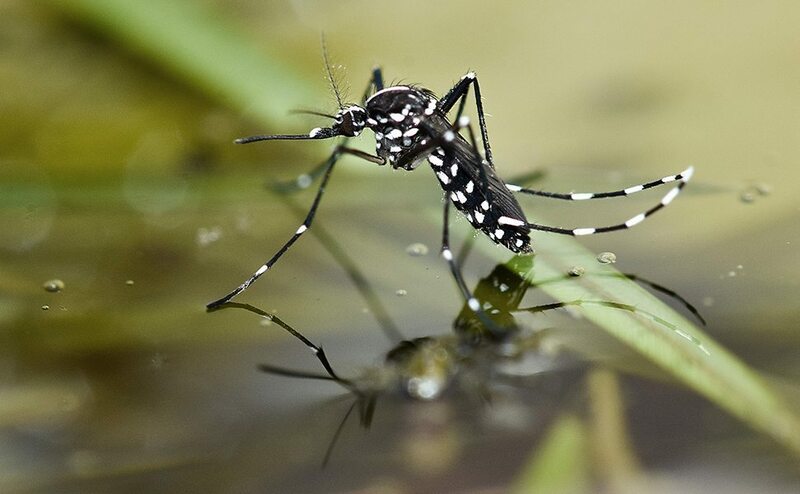 Mosquito vectored diseases include Protozoan diseases, such as Malaria, Dengue, Eastern Equine Encephalitis, St. Louis Encephalitis, West Nile, LaCrosse Encephalitis, Yellow Fever, Chikungunya, and Filarial diseases such as dog heartworm. 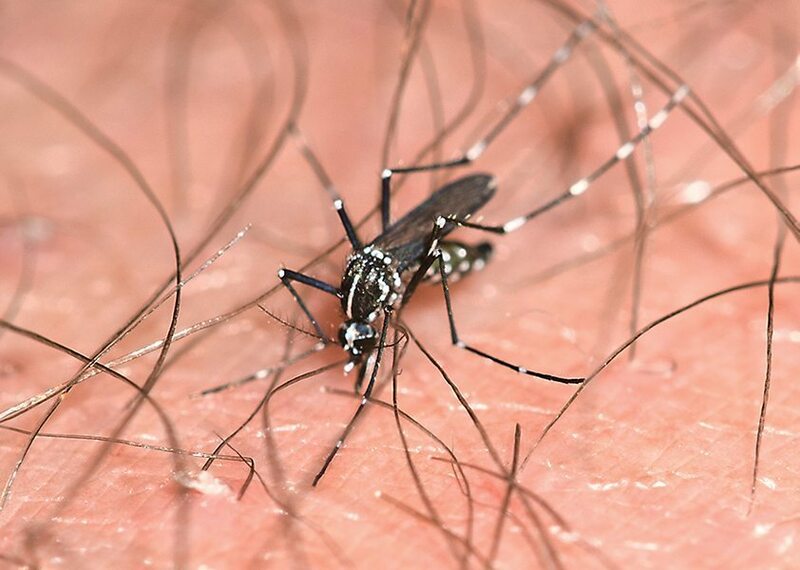 Mosquito bites can cause severe skin irritation through an allergic reaction to the mosquito’s saliva, which is what causes the red bump and itching. While one tube in the proboscis draws blood, a second pumps in saliva containing a mild painkiller and an anti-coagulant. Most people have minor allergic reactions to the saliva, causing the area around the bite to swell and itch, but in fewer cases this can lead to serious skin infections. With all of the potentially horrific side effects, doctors highly recommend preventative bite care be taken. 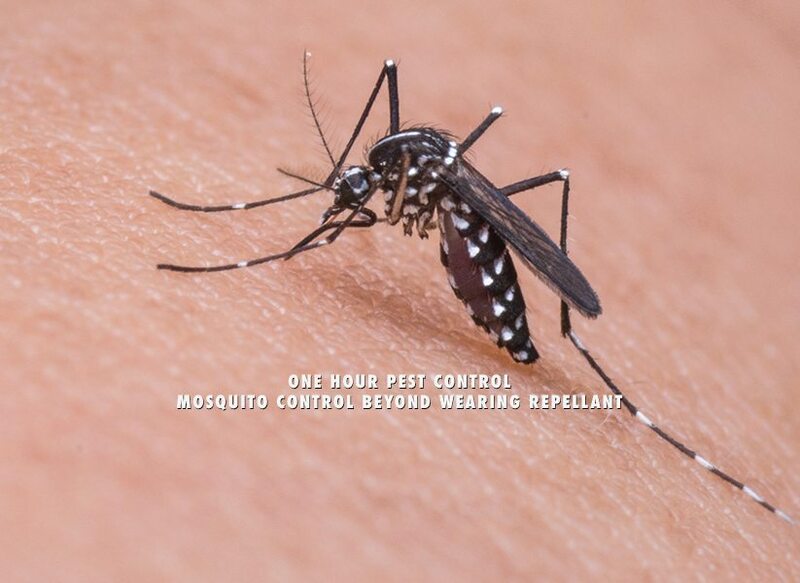 In 2005, The U.S. Center for Disease Control announced bug zappers are useless against mosquitoes. 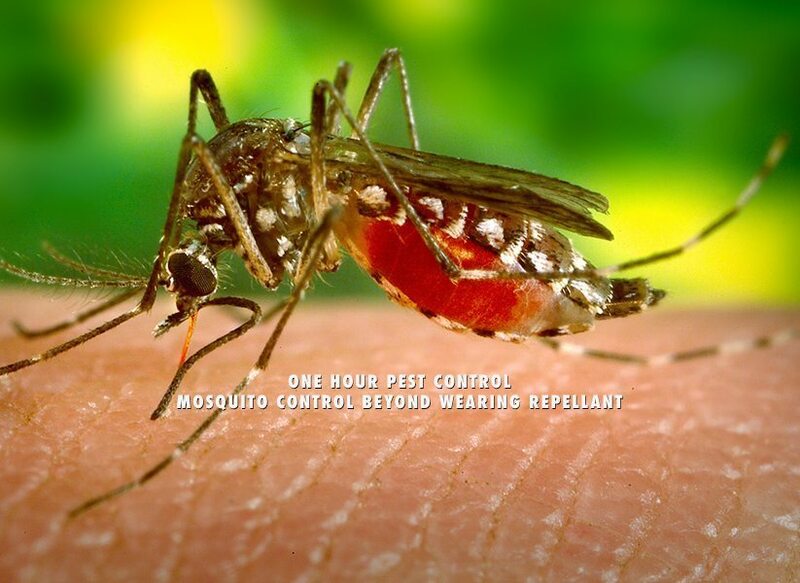 Studies have shown that less than 1% of the insects killed by zappers are mosquitoes or other biting insects. The devices attract and kill beneficial or harmless insects, like moths, and have no effect on the overall mosquito population. Electronic repellers have also proven ineffective in scientific testing. 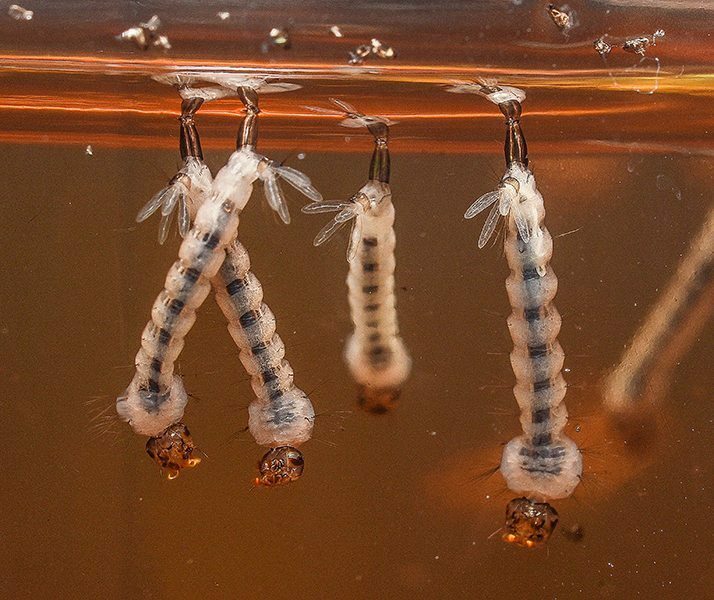 Anti-mosquito sprays and candles should be used regularly to prevent bites, but more substantial measures should be taken to ensure a safe environment at home. 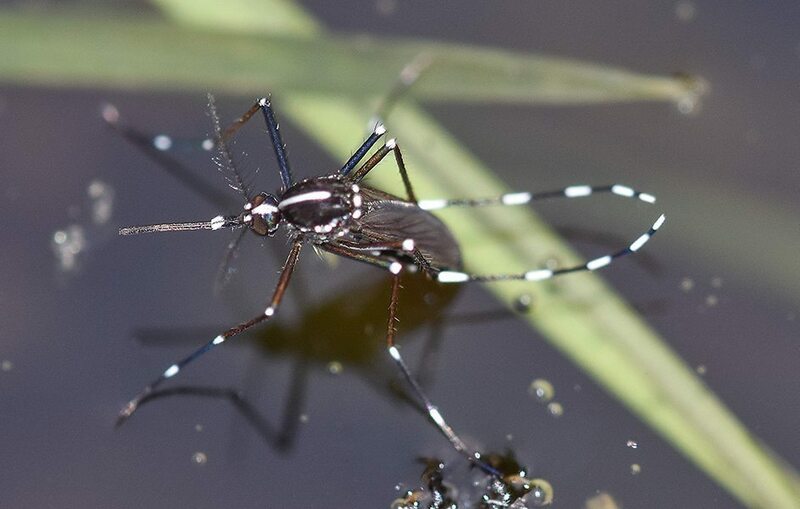 An important step to keep mosquitoes away from your home or business is to eliminate any stagnant bodies of water. This can include seemingly insignificant amounts of water, such as rain barrels, ponds or buckets of water around your house. 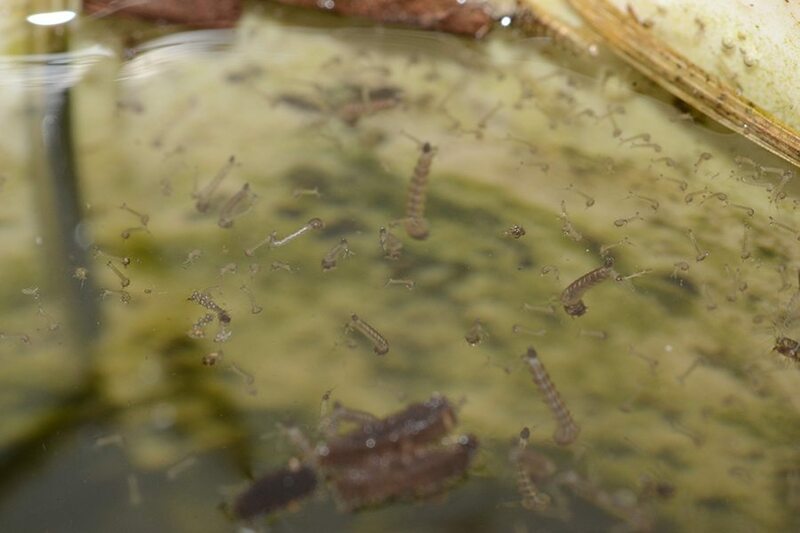 Mosquitoes spend their first 10 days in water, and it is necessary for the eggs to hatch into larvae, called Wigglers. 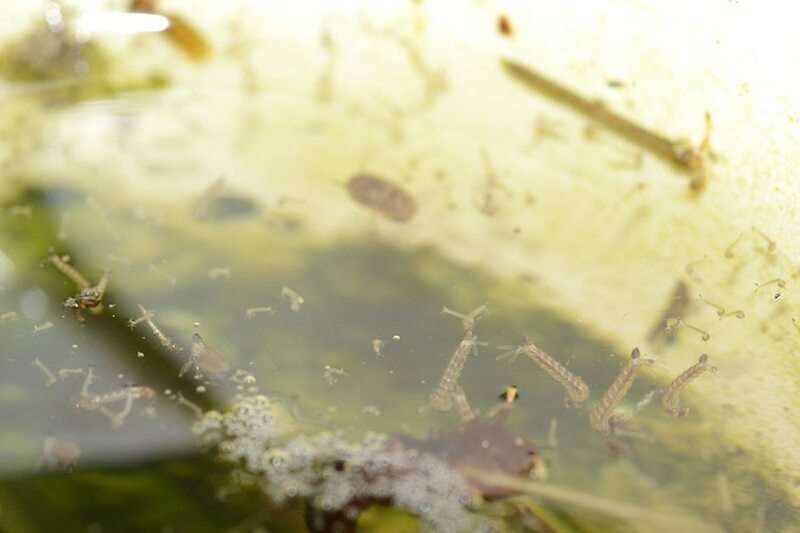 Wigglers feed on organic matter in stagnant water and breathe oxygen from the surface. They develop into Pupae, which do not feed and are partially encased in cocoons. 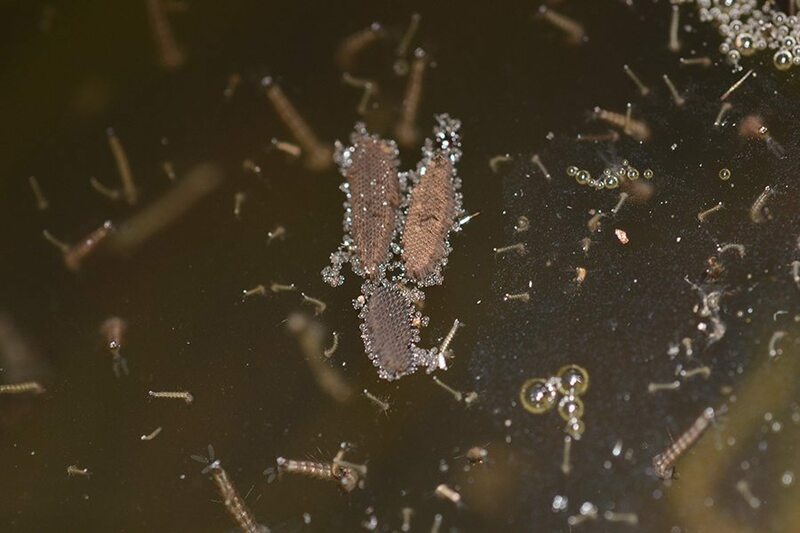 Over several days, the pupae change into adult mosquitoes, which then survive for their remaining lifespan on blood. Health care professionals recommend frequent visits from professional pest companies throughout the year. 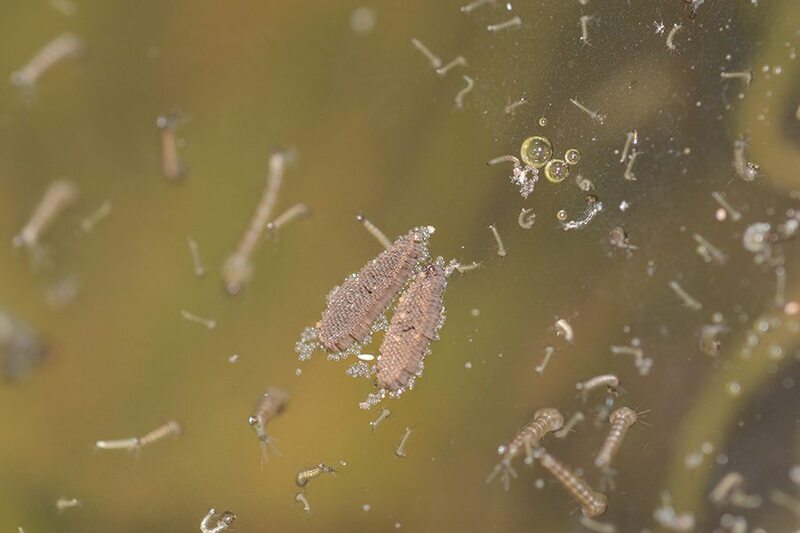 Mosquitoes hibernate for the colder seasons, then reemerge in full force in the warmer months. In order to keep your family safe during their peak times, call One Hour Pest Control. 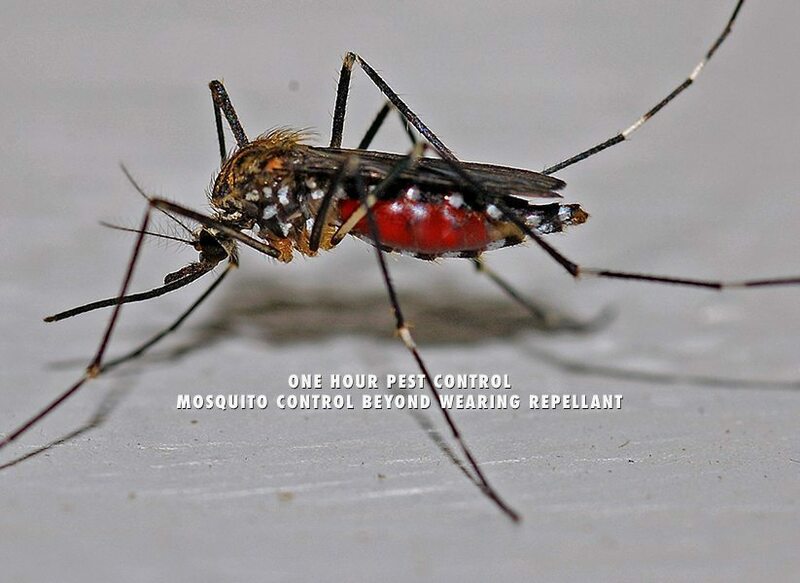 With affordable home and commercial mosquito pest control exterminators in NYC, serving Brooklyn, Queens, Manhattan, The Bronx, and Long Island City, One Hour Pest Control will quickly contain your mosquito problem, giving you a safe home and peace of mind!